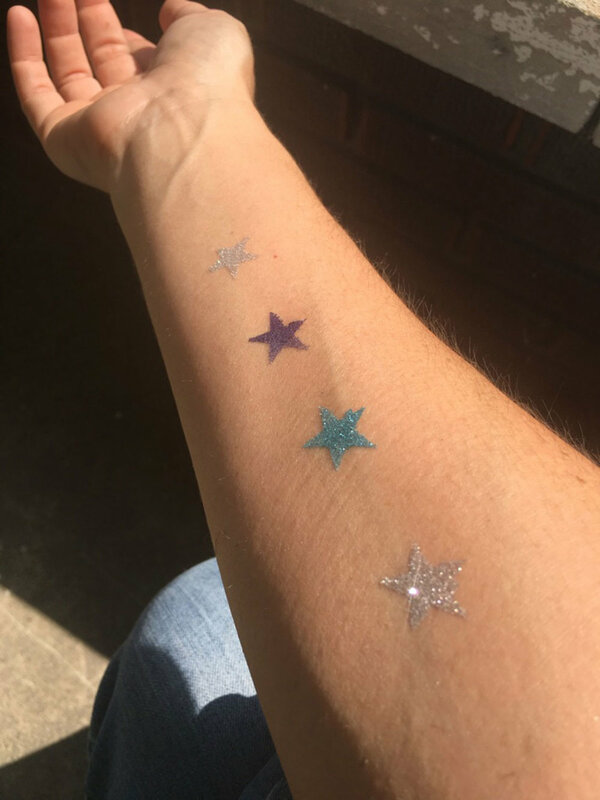 Non-permanent body art with a shimmery twist! Draw on designs with the medical-grade adhesive using the fine applicator bottle or apply through one of the 6 included stencils. Also can be applied with a brayer and a rubber stamp. Just let the adhesive dry a little, dab on the glitter and the design is done! Designs last for days or are easily removed with baby oil.